Hello, everyone! 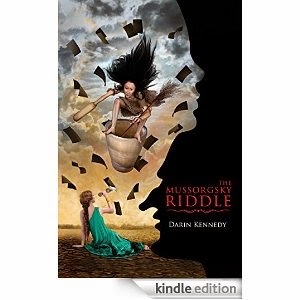 I’m Darin Kennedy, author of The Mussorgsky Riddle, and I appreciate Linda Robertson’s trust that I could write a decent blog post on the pros and cons of audiobooks. I will be the first to admit that I am not the be all / end all expert on this subject, as The Mussorgsky Riddle is my first published novel as well as my first audiobook, but I will endeavor to share some of my experiences and some of the decision making process that went into me deciding to pursue having an audiobook. First, the few audiobooks I’ve listened to over the years have always left an indelible mark on my psyche. The first was Stephen King’s Dreamcatcher, and I can still hear the narrators voice when the psychic alien says, “I want Jonesy” – still gives me the creeps to this day. Even better was listening to Neverwhere narrated by none other than Neil Gaiman himself, though with Neil’s voice, I’d likely listen to him read the phonebook. That being said, I’ve always thought I’d love to have something I wrote transformed into an audiobook. I had this experience one time before when a short story anthology I was in had an audiobook made. Hearing my words come at me with another person’s voice was a very cool experience, and as I had a psychic voice in mine, I got to have my own “Jonesy” moment. However, it paled in comparison to having my entire novel transformed into an audiobook. I’d say the first question you’d have to ask yourself before handing over the reins is “Do I feel comfortable letting someone else interpret what I wrote?” What if you didn’t agree with how they spoke your “lines”? What if they didn’t get your book? Heck, what if you didn’t like their voice? From what I understand, you can narrate your own audiobook, but I would say unless you’re famous like Stephen King or have an outstanding radio voice a la Neil above, the actual reading is best left to the professionals. My buddy, Roy Mauritsen, works with a voice actor who narrates his books while Roy comes behind and adds music and sound effects, making for a truly immersive experience. This allows him much more freedom to make the audiobook exactly what he wants, but this method means that any expenses are his. Conversely, my publisher sold the rights to The Mussorgsky Riddle to Audible and I had no out of pocket expenses, though doing it that way meant I had little creative control. I was fortunate enough to have an excellent actor performing the book, the incredible Elizabeth Evans, who did get in touch with me several times for creative input on voices and pronunciation and produced, in my opinion, an excellent audio version of what I wrote. Somewhere between going it on your own and leaving it to Audible is ACX (Audiobook Creation Exchange) with various options on how much control you wish to retain as well as other similar audiobook producers. So, how do you get paid? Depending on which of these models you choose, you may get a percentage of each book sold, with or without and advance, or you may even get into a situation where you or your publisher sell your rights to the audiobook to a producer, Audible or otherwise, and you get a one time flat fee. Regardless of what you are offered, you will have to weigh the various pros and cons and decide what exactly it is you want to do. In the end, I would argue that authors, particularly new authors, benefit from having their work available in multiple formats. Having a physical book, an ebook, and an audiobook out there does round out the buying options and maximizes your opportunity to reach readers who may prefer one format over another. To me, however, the biggest factor in my decision was simply this: I wanted The Mussorgsky Riddle to be an audiobook. I wanted to hear the words echoed back at me, listen to the various characters’ voices, and experience the tale I wrote in a new and different way. Everything else is gravy. Thanks again to Linda Robertson for the invitation to guest blog today. I hope my input and personal experience gives you some insight as to whether or not an audiobook is right for you! 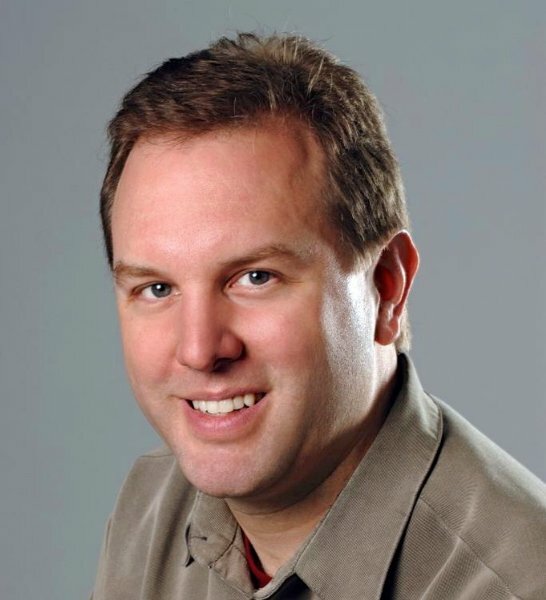 Darin Kennedy, born and raised in Winston-Salem, North Carolina, is a graduate of Wake Forest University and Bowman Gray School of Medicine. After completing family medicine residency in the mountains of Virginia, he served eight years as a United States Army physician and wrote his first novel in 2003 in the sands of northern Iraq. His debut novel, The Mussorgsky Riddle, was born from a fusion of two of his lifelong loves--classical music and world mythology—and he is currently hard at work on his next novel. Doctor by day and novelist by night, he writes and practices medicine in Charlotte, North Carolina. When not engaged in either of the above activities, he has been known strum the guitar, enjoy a bite of sushi, and rumor has it he even sleeps on occasion. Find him online at darinkennedy.com. Very interesting, Darin - thanks for visiting the Bordello! You've a female narrator and a female protagonist telling her story in first person so everything marries up nicely. When you listen to other audio-books, do you ever find a mismatched gender pairing between narrator and protagonist...jarring? Or do you find that as long as the story is well performed, the narrator's gender doesn't matter? Congrats on The Mussorgsky Riddle! And thanks for the insight on the audio-book process, you made some good points in prep/debate to do one.